I had one of my most epic nights of dream work during the recent blue moon. 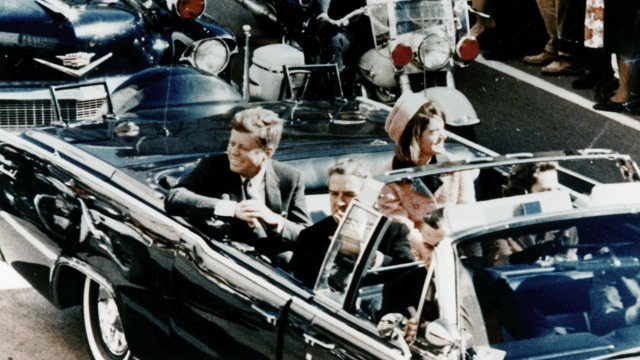 A dream mission to repair a giant tear in the space time continuum, the assassination of JFK. In dream I hurtle back in time to November 23, 1963. Reaching this tragic day in American history, I find myself standing on streets of Dallas before an old Zenith television store window, filled with blinking old TV sets playing 1962 TV shows. Ohom, my 7 foot tall blue skinned ET guide, invisible to all but me, waves his hand and the old tube TVs unite to show me a giant screen view of earth from space filled with equations written in the stars. Some equations are in white letters while other are highlighted in red. No scientist, I nonetheless I understand the complex formulas’ meanings intuitively. “JFK, dead in all these timelines? That’s impossible in Quantum physics,” I say, anger at the dark forces creeping into my voice. “Don’t these evil jerks ever give up?” I gripe to Ohom. “Ohom, usually you don’t give me this much orientation. What’s up?” I say as respectfully as I can while getting my point across. “If you die in this dream rescue of JFK you will die in bed. So are you 100% sure you want this mission?” says Ohom, his kind blue insectoid face troubled. “Ohom, as a kid I loved JFK and all he stood for. To save President Kennedy in multiple timelines is an honor to attempt, even if I fail. I can think of worse places to die than home in bed.” I say bravely smiling up at Ohom as an old prop plane sails in the Dallas sky above his smiling blue face. I nod and the giant Ohom takes me into a buzzing hug. His blue wings a flutter in the Dallas breeze. I feel the sandpaper like gem encrusted texture of his turquoise robe against my cheek and recall the shock of my first time meeting of Ohom in a little yoga hall in Italy in 2010. The first five years of my 50 year mission have passed so fast and so amazingly. I feel new abilities and powers flowing though me from Ohom’s embrace. This is more than a hug, it’s an epic upgrade! “My dream team and I will be watching over you to guide you to the next life should you fail and die in bed, Ken. As always, Ken, we cannot assist directly in human affairs. Now go save JFK!” says Ohom, vanishing in sparkling swirl of energy. I head up the street for sounds of the cheering crowd. JFKs motorcade nears and I am filled with such joy to see my childhood hero JFK’s very much alive beaming smile! I make myself invisible to crowd, JFK and Jackie, the Secret Service and the many gunmen I sense have a bead on the president and his wife Jackie. I slip unseen into JFKs limo and erect a dream shield above all our heads at the exact instant the assassins fire. This force field like is nothing like anything I ever since in film or literature, ripping and pulsating with white and black waves of energy. It easily deflects the bullets meant for JFK. Each ripple of black and white energy represent a new timeline I am creating on this dream mission. Hearing the shots and screams JFK’s Secret Service team swings into action. Men in black dive onto of Jackie and JFK. The presidential limo screeches off into an alley, hurtling past startled faces in the crowd. More shots! But my DreamShield holds and the bullets spark off harmlessly creating ripples on the shield like a stone cast in a lake. “Thanks! Who are you?” shouts JFK from under a stack of FBI agents. Dark beings, only I can see, materialize in the alley ahead the JFK limo, menace in their glowing green eyes. “Sorry, Mr and Mrs. President. My work is not done.” I launch myself into the dark ones and battle like one man wrecking crew as the JFK limo safely escapes from sight. The leader of dark ones lays beaten on the pavement, his green eyes trying to dig into my soul. “Enjoy this moment, human. But you may find your victory a costly one.” Suddenly I feel deathly ill. Cackling, the leader and his dark ones vanish. I vomit on the alley pavement. A rat scurries into the shadows in fear. I look at my arms and the veins are growing black. I realize from all I’ve learned from Ohom that I’ve taken on too much dark energy. I curse myself that I’ve yet to master love as force against the dark ones. I am terribly out of balance. My heart is racing. If I die in this condition I am not sure Ohom can even guide me into the afterlife. Whenever I dream and I need help I fly! I leap into the sky, happy for my blinding speed. Instantly, I circle the earth at impossible speed, I let loose the dark energy in my wake, a total reversal of the energy of light the DreamShield was made of in 2010. The interwoven light and dark Dreamshields each merge into the heavens. Stars and the void.